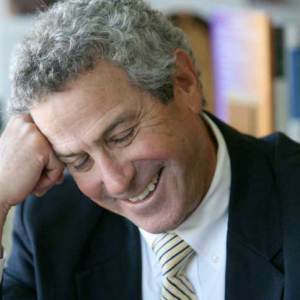 Dr. Ira Byock, Fellow of the American Academy of Hospice and Palliative Medicine, is a leading palliative care physician, author, and public advocate for improving care through the end of life. He is Founder and Chief Medical Officer for the Institute for Human Caring of Providence St. Joseph Health, a 50 hospital health system serving communities across 7 states. Dr. Byock advances efforts to measure, monitor and improve whole-person health care systemwide. He is a practicing physician and is based in Torrance, CA. Dr. Byock is Active Professor Emeritus of Medicine and Community & Family Medicine at the Geisel School of Medicine at Dartmouth. He served as Director of Palliative Medicine at Dartmouth-Hitchcock Medical Center in Lebanon, New Hampshire from 2003 through July 2013. Dr. Byock has authored numerous peer-reviewed academic articles on the ethics and practice of care. His research has led to conceptual frameworks for the lived experience of advanced illness, subjective quality of life measures, and simple, effective life-completion counseling. His leadership in development of groundbreaking prototypes for concurrent care of people through the end of life has been foundational to advancing patient-centered care. Byock’s first book, Dying Well, (1997) has become a standard in the field of hospice and palliative care. The Four Things That Matter Most, (2004) is used as a counseling tool widely by palliative care and hospice programs, as well as within pastoral care. His most recent book, The Best Care Possible (March 2012) tackles the crisis that surrounds serious illness and dying in America and his quest to transform care through the end of life. It has been praised by the Wall Street Journal, the Economist and other major publications, and won the Annual Books for a Better Life Award in the category of Wellness. Dr. Byock has been the recipient of numerous awards for academic achievement and community services. In 2014 he was recognized as a Visionary by the Academy of Hospice and Palliative Medicine, as well as being given the Academy’s most prestigious honor, the Lifetime Achievement Award. He is a sought-after speaker and consultant to health care organizations. Byock has been a featured guest on national television and radio programs, including NPR’s All Things Considered, Talk of the Nation, and On Being, CBS 60 Minutes, Fox and Friends, The Diane Rehm Show and PBS The News Hour.